Students, Send me your photos of finished projects you've worked on in class. We would like to see them and put them up for others to enjoy. Darrel Loppe did a very good job on his model totem. ​Totems from the same class, very nice. This is the bent wood box that Kim made in last year's box class. He brought it back to share with us this year. He did a really nice job on his own to come up with a nice formline design and carved a killer whale to add to the interest of the overall look of the piece. The following photo is from last year and shows Kim working on this same box. Tony's raven rattle on the last day of the class. He felt confident that he could finish it on his own. I think he will do a fine job and hope he will send photos of it that I can post on this site in the future. Copper Woman mask by Ray Murray, excellent. Greg's model canoe and formline project from last year. He is doing a great job on his formline carving and plans on adding a formline painting on the canoe model. Tony's mask at the end of the class. Eric's first attempt at Coast Salish formline. It is deceptively simple. Charlie's little bear and eagle on the last day of the class. He is doing a nice job on getting everything blocked out and ready to draw in the detail for the final carving. I am confident this will be a nice piece when finished. Wolf Shaman by Ray, from the mask class. "Scott Jensen continues to be the type of teacher and mentor who informs, inspires, enables, and sometimes challenges you to expand your carving skills. He gives clear instruction, guidance and encouragement while also affording class participants the option to experiment and create. 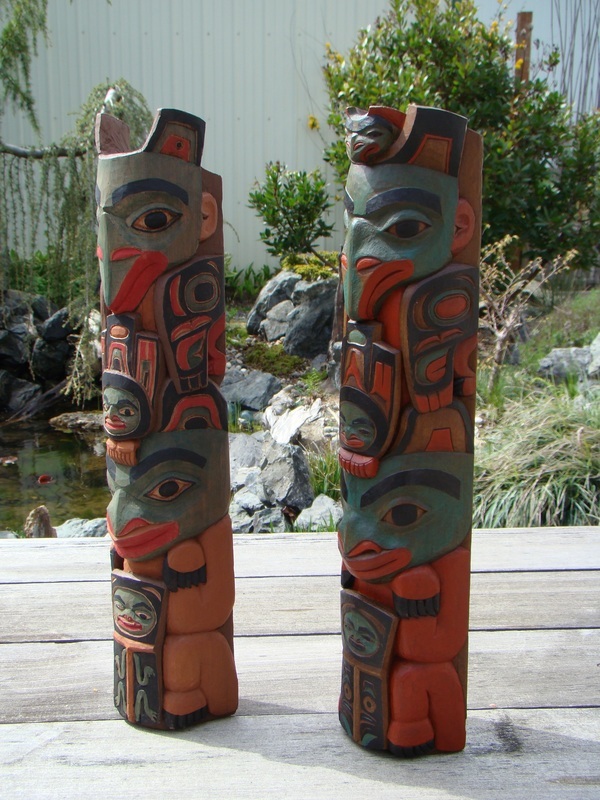 He is generous in sharing all of his considerable Northwest Coast carving expertise. 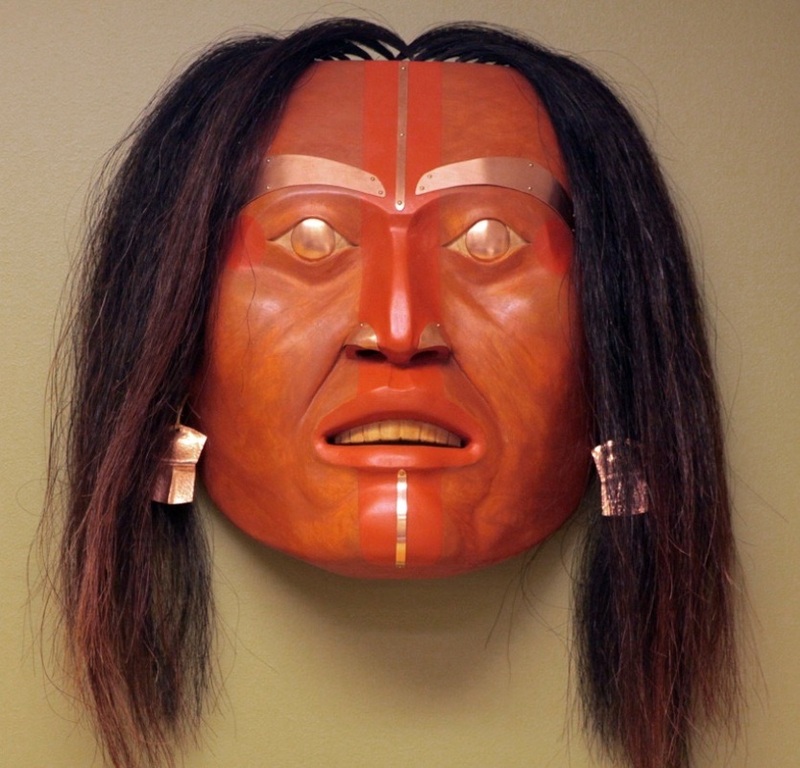 He and Courtney always provide a warm and rewarding learning experience and sense of community around Northwest Coast Native Art that I look forward to every year." 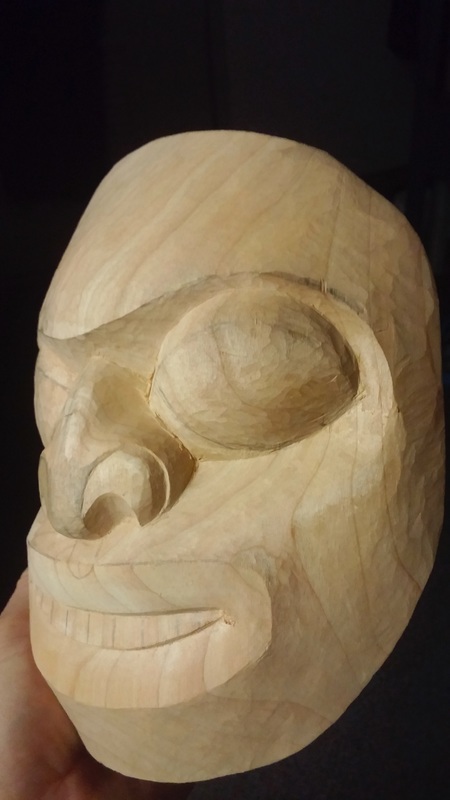 Tlingit style Portrait Mask made from basswood by Jim. "It has been pure joy over the past 15 years of retirement to express my thoughts and ideas through art. Scott mentored my introduction to the world of carving and provided invaluable insights into the culture and lives of the Native people of the Pacific Northwest. His skill set with wood, his patience, good humor, and dedication to teaching are among my fondest memories from those early years. Although I have drifted away from the Pacific Northwest to exploring more contemporary art forms currently. I still rely heavily on the principles and carving techniques instilled by Scott. It's a real treat to be invited to contribute to this site. In my opinion carving is the perfect solution for a fulfilled retirement." "What do you think I should do next?"